The weather changed overnight, from warm and sunny to a cold, steady rain. We decided to spend the day indoors. 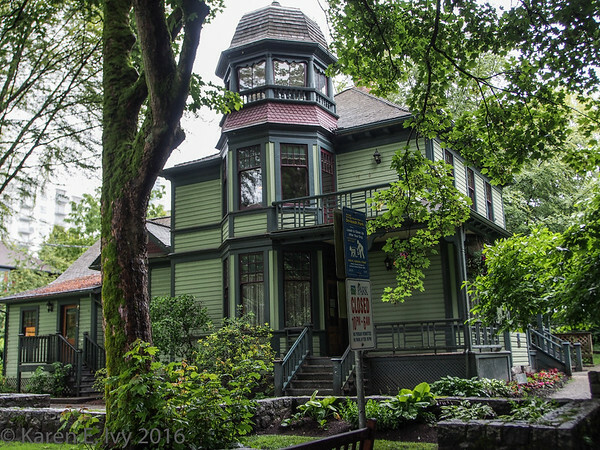 We spent a couple of hours at Roedde House, which was in the next block. 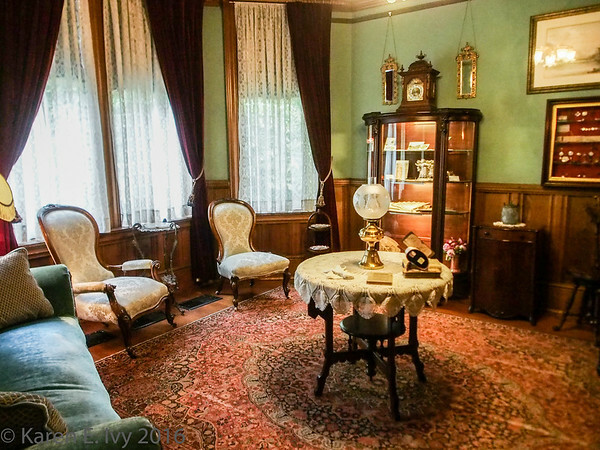 Here’s a link to the photo gallery for Roedde House. Since her husband was quite well-to-do, I wonder if she ever hired a maid – and if she did, did she hire a short maid?? 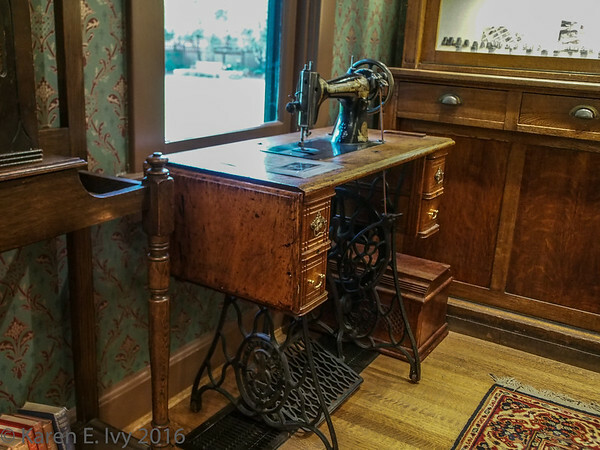 He used it to sew paper together so it could be bound into books. 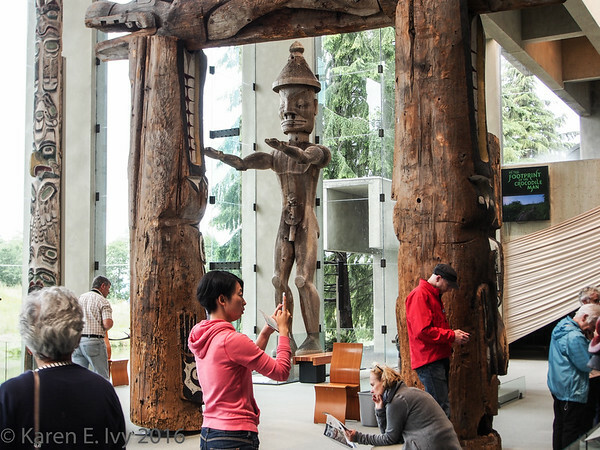 After we finished at Roedde House, we went on out to another usual destination in Vancouver: The Museum of Anthropology at the University of British Columbia. 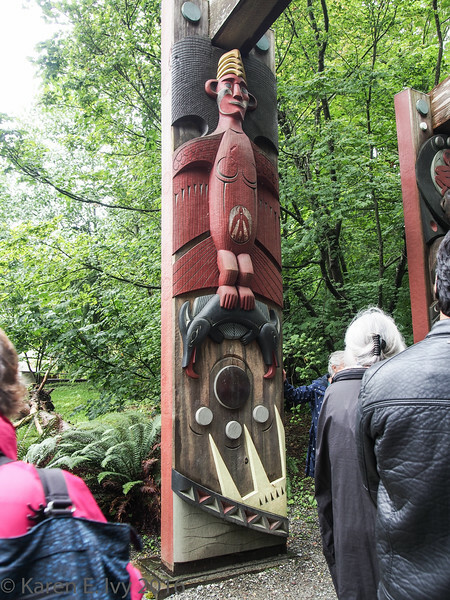 If you’re interested in British Columbia’s First Nations, this is where you come. Click here to see the full gallery, I’ll just share some selected photos. 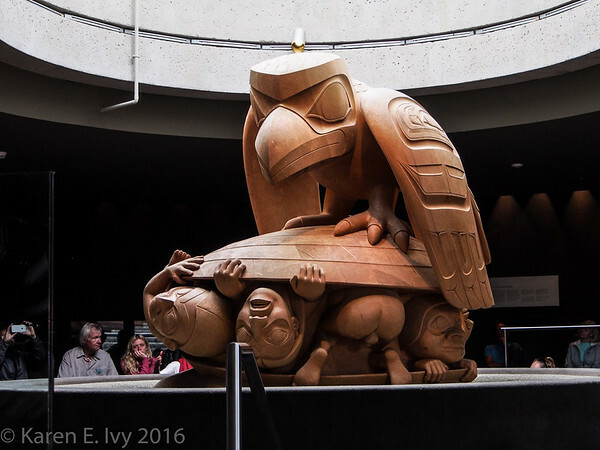 This, of course, is the classic carving in the museum, The Raven and the First Men. I go by to look at it every time we visit. 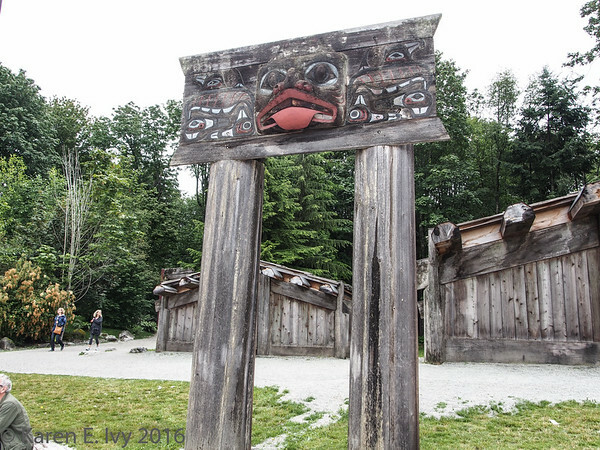 They have a lot of traditional carvings, and also some modern versions. This is traditional. This is modern, and was outside in the museum grounds. 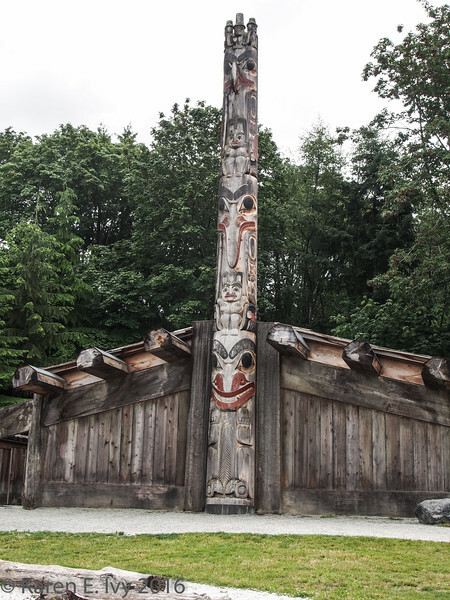 Also in the grounds are a lot of carved posts, and a restored First Nations village. 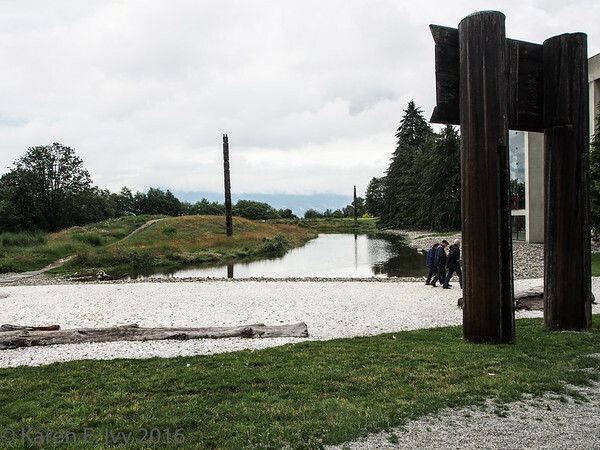 The grounds are very soothing to wander through. The next day, we boarded a plane to come home, and that was the end of vacation 2016. 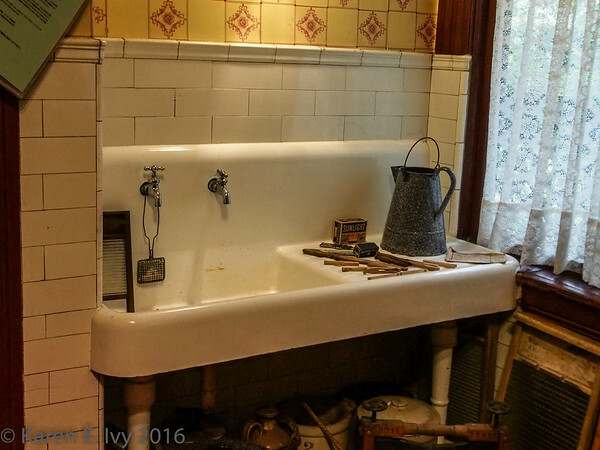 This entry was posted in Vacations and tagged 2016 Vacation.